The World of Crime: The scourge of domestic violence. The scourge of domestic violence. The media in Australia is currently highlighting the significant amount of domestic violence within our society. Domestic violence has always been present, but a number of high profile cases have brought attention to something which has always been a “behind closed doors” issue. It wasn’t that many years ago that it was treated as a private issue. Husbands beat their wives and children, it was just part of life. Technically under the law, they were his property and he could treat them as he saw fit. Fortunately that attitude has mostly gone, but as with many issues, the courts and government policy makers are lagging behind the community. Here are a few stories, going back up to a decade, which have brought this issue to the forefront of the community’s consciousness. 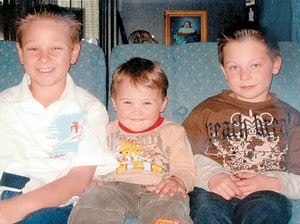 On Father’s Day 2005 Robert Farquharson was driving home with his three sons after dinner. Farquharson claims he had a coughing fit and woke up with his car filling with water. He claims the water was at chest height when we came to. His eldest son, Jai (10), was sitting in the front passenger seat and said “Dad, we’re in the water”. Tyler and Bailey were in the back seat. Jai began to open his door. His father reached over and closed it and told Jai and his two younger sons to stay where they were, he would get out and come around and get them out. Farquharson claimed he thought they were only in one metre of water. Farquharson opened his door and escaped from the vehicle. The vehicle then sank with the three young boys still inside. Farquharson swam to the shore, and flagged down a passing vehicle. The two young men in the vehicle offered to dive into the dam and try to find the car. Farquharson just kept asking to be taken to the home of his ex-wife. The young men offered to use their mobile phones to call 000. He just insisted on being taken to his ex-wife. The finally agreed and drove him to Winchelsea, the nearby town where his ex-wife, Cindy Gambino, was waiting for her boys to return home. Instead she was presented with a mother’s worst nightmare. Cindy called 000 and eventually persuaded Farquharson to meet emergency services at the dam and show them where the car had gone in. It was soon apparent to the emergency services that this was no longer a rescue operation, but rather a recovery. Emergency services kept asking Farquharson for more information, but he just kept asking for a cigarette. Several hours later the vehicle was found 28 metres from the bank, and seven metres down. All of the boys had their restraints off, and one had managed to get out of the vehicle, but all were deceased. The way Farquharson told it, it was a terrible, horrific accident. A coughing fit with the worst possible consequences. The police however weren’t convinced and did several tests with identical vehicles, both on the road, simulating loss of control, and in a similar dam, simulating sinking. It was discovered that his vehicle had a correct wheel alignment, and was functioning correctly. The police found that for the vehicle to end up where it did, Farquharson would have had to have been traveling at 60-80kms per hour, and there must have been three steering inputs between the road and the dam. The dam was also to the right of the road, but when police tested vehicles of the same model, they actually veered slightly to the left on that stretch of road when hands were removed from the wheel. 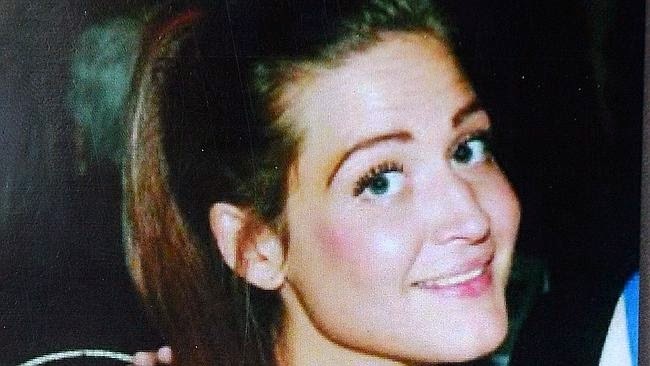 Questioning of Farquharson’s friends and colleagues also netted some interesting information: he had told a friend that he wanted to get back at Cindy for leaving him and that the best way to do that would be to take away the things she loved most. And even better to do it on a memorable day. Like maybe Father’s Day. After much forensic testing and investigating, Farquharson was arrested three months after the death of his sons. He maintained his story about the coughing fit and initially Cindy believed him. Cindy maintained that Robert loved their children and would not harm a hair on their heads. Farquharson was found guilty at trial. However he successfully appealed. Before his second trial a new witness came forward. She had overtaken a car going about 60kms per hour on the road just near the dam. The speed limit on this road is 100kms per hour, so she had looked over to see why the driver was travelling so slowly. She saw the male driving glancing off to the right hand side, into the paddocks, looking for something. He was fully conscious and in control of the vehicle. Shortly after she passed him, she saw his headlights veer off to the right, so she figured he had found the turn off that he was searching for. Sadly for Jai, Tyler and Bailey, he had. It was around this time that Cindy realised that maybe Robert was not telling the truth. She had repeatedly requested to see him in prison – she just needed to know what happened that night to her precious boys. But Robert refused to see her, as it would be bad for him psychologically to have to relive it. It was always about what was best for Robert. That realisation was the turning point for Cindy. Farquharson was found guilty again, and appealed again, although this time he was unsuccessful. He has since appealed twice more without success. He has no more appeals available to him. Farquharson has succeeded in punishing Cindy for daring to fall out of love with him, but it hasn’t dominated her entire life. She has remarried, and had another child. She is now petitioning to have Robert’s name taken off the headstones of her sons. I wish her all the best in this. Like many big cities around the world, Melbourne is built on a bay – Port Philip Bay in this instance. To get across the bay we have the Westgate Bridge, which thousands of residents use every day for the commute to work. On January 29th 2009, the bridge was used in the most awful way possible – for revenge. Like many bridges, the Westgate has a history of sad souls leaping off. This was however much worse. Arthur Freeman pulled his car over to the edge of the eastbound lanes of the bridge. 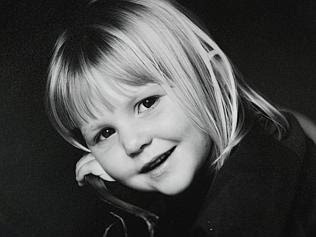 He grabbed one of his children out of the back seat – four year old Darcey – and threw her over the edge of the bridge to her death. 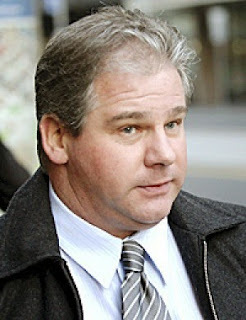 He went back for another child, Darcey’s brothers aged 2 and 6 were still in the car, but he was restrained by motorists. It was during morning peak hour and dozens of commuters saw this horror unfold in front of them. Freeman was going through a custody battle with his ex-wife and wanted to hurt her “as profoundly as possible”. He called her and taunted her with “say goodbye to your children. You will never see them again”. He told a relative that his ex-wife would “regret it” if he lost custody. A reported “control freak” he was described as calculating and irrational. He pled not guilty by reason of mental impairment, but was found guilty and sentenced to 32 years imprisonment. Sadly that does not make up for the horror he inflicted not just on his ex-wife, but his sons, the commuters on the bridge and poor little Darcey. Rekiah O’Donnell, Kiah to her family and friends, was just 22 when she was shot in the head by her boyfriend of 14 months Nelson Lai (35). Nelson had been jealous and possessive of Rekiah, often threatening to kill her. He eventually made good on his threat, shooting her in the head on October 11th 2013 in his bedroom at his home in Melbourne’s Sunshine. He claimed he did not know the gun was loaded. Five other bullets were later found in his bedroom. Rekiah had sought help to understand why she persisted with a relationship with an abusive partner. She loved Nelson, and wanted him to get help. 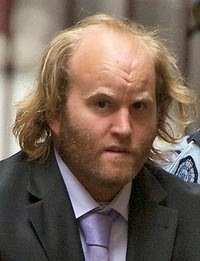 Just last week Nelson was found guilty of manslaughter. So apparently repeatedly threatening to kill someone, waving a gun in their face, and then fatally shooting them does not indicate the intention to kill. When he gets out of prison in five years and kills his next girlfriend, for no reason other than his own narcissistic paranoia, hopefully the jury will convict him of murder. This will at least be some justice for a life taken too young, a girl with a bright future who fell in love with the wrong man. These three cases are just a tiny amount of the violence being inflicted on spouses and children in our society. In these cases the offender happens to be a male, but that is not always the case. There are also many more I could have mentioned: Luke Batty who was murdered by his father at a cricket match to punish his mother; Stuart Rattle, a famous Interior Designer who was murdered by his partner Michael O’Neill because he wanted to end the relationship; Fiona Warzywoda who was fatally stabbed in broad daylight just hours after going to court to get a restraining order against her ex-defacto. These are just in Melbourne and are barely the tip of the iceberg. Domestic violence is not a new issue, but it has never been acceptable. Hopefully the amount of attention it is currently getting in the media will prompt better services, better laws and higher sentences for offenders. When we fall in love and enter into relationships with someone, we have the right to expect to be loved, nurtured and treated with respect. And if the relationship ends, as they sometimes do, that right to respect is not diminished. She is not your property. He is not your property. You are equals, in this together. There is no excuse for violence. Ever. Domestic Voilence is found in every part of the world, be it a developed country or an under developed country. This offence needs an immediate action.